I don’t know London as an insider. I don’t always catch cultural jokes on British TV shows, I can’t name many members of the Royal Family, and I think ploughman’s plates taste funny. I have, however, spent enough time in the UK to know that London fashion is a good few years ahead of the curve, bitter lemon tastes delicious with gin, and that newspaper peddlers can be quite aggressive. And you have, too. Most submitters to this theme did not hail from the British Isles, but I loved your tourist and local views of London just the same. London is a city so large in concept — whether drawing up connotations of Shakespeare or Vivienne Westwood — that its famous corners belong to all of us. While some may argue about the authenticity of this photo set (No Banksy? What? ), few will argue about the beauty of the images of this magical metropolis. London absolutely fascinated me with its sweeping architecture, old world materials, and substantial, ever-present air of history. I found it different from New York in so many ways, and was constantly thrilled to discover new examples of old London. As soon as I stepped out of the train into Paddington station, I realized it was my last chance to capture the wrought iron essence of the city — so I ran up the overpass and lined up the shot. I’m a web developer and entrepreneur in Tempe, Arizona. I love photography, drumming, music in general, and making people laugh. With a history that spans hundreds of years, the City of London’s Guildhall and its previous incarnations have both survived and fallen to great fires and great wars. Its medieval-style great hall has hosted royals, heads-of-state, professionals, academics, and countless numbers of London’s elite. While a massive plastic rain tent propped in front of such a distinguished landmark is anachronistic, to me, the contrast embodies London. 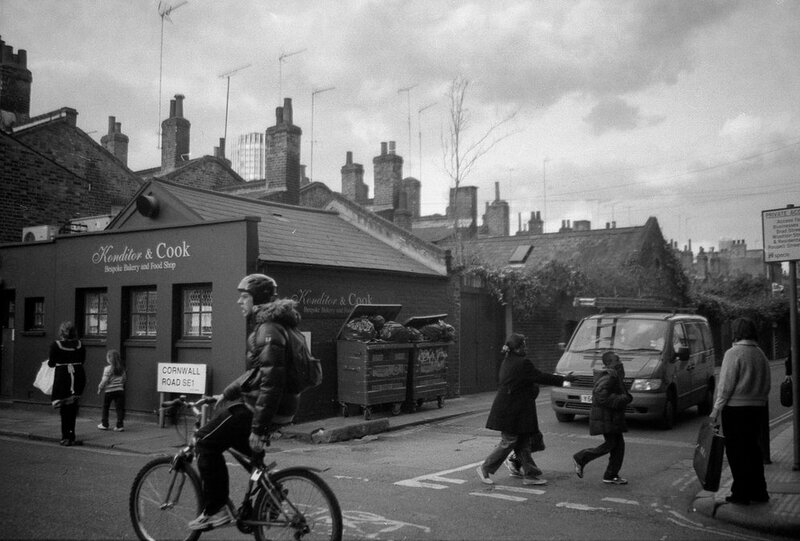 Rion currently lives in East London with her husband, her 2-year-old son, and her 9-year-old photoblog. 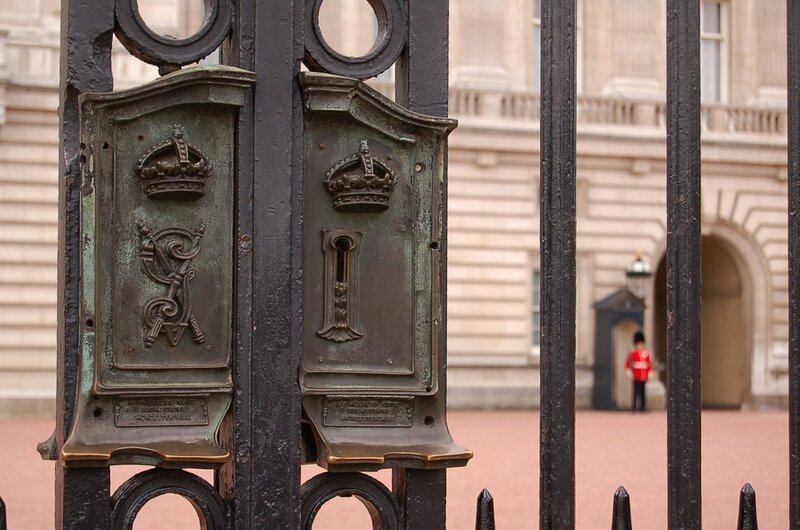 My brother had lived in London for three years and had been to Buckingham Palace often, but had never spotted royalty … till the day Mum and I arrived for a visit. It was my first trip out of the country, my first trip to London, and our first sighting — of the Queen, Prince Philip, Prince Charles and Camilla Parker Bowles — all on the same incredible day. Avid shutter-bug, frequent observer, regular traveler, occasional strategy planner, true-blue Bombayite. 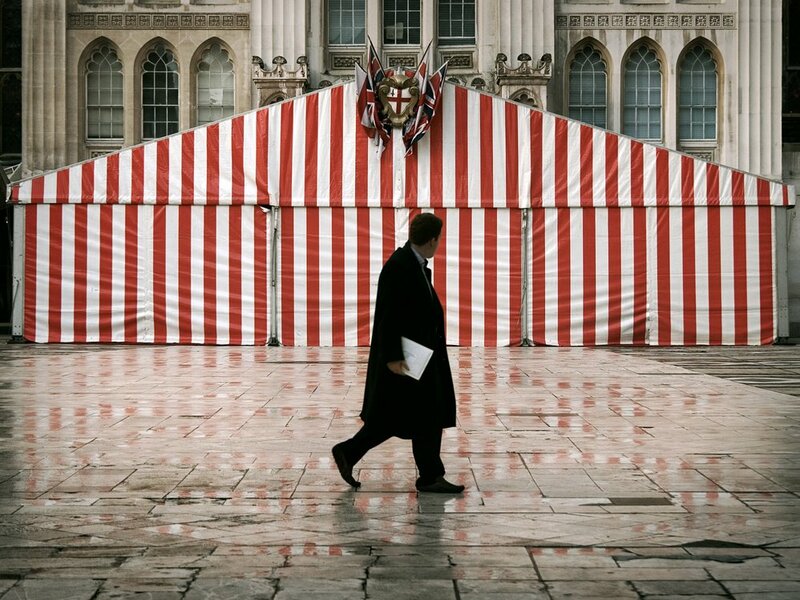 At the heart of London’s historic core, the City of London, is the financial pillar of the United Kingdom. 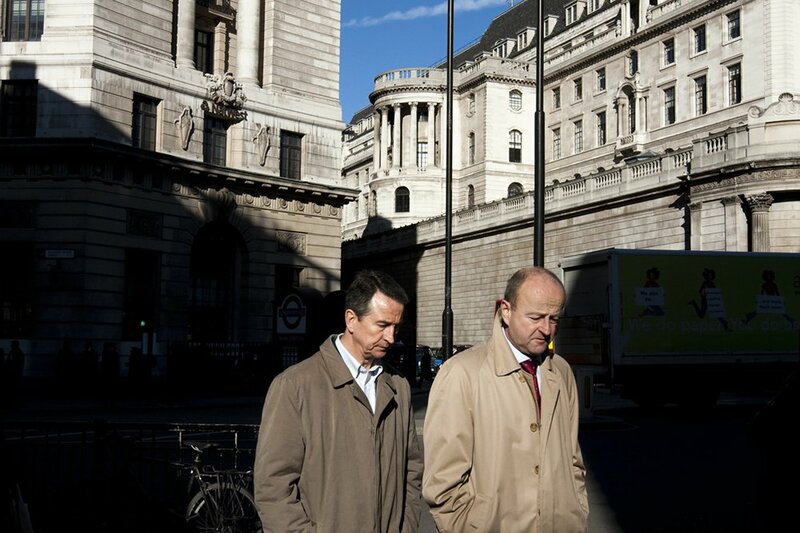 In this image you can see the Bank of England on the right as two businessmen pass in the foreground. When I took this picture in February 2008, I was lured by the dramatic light, but now the picture has a different impact. 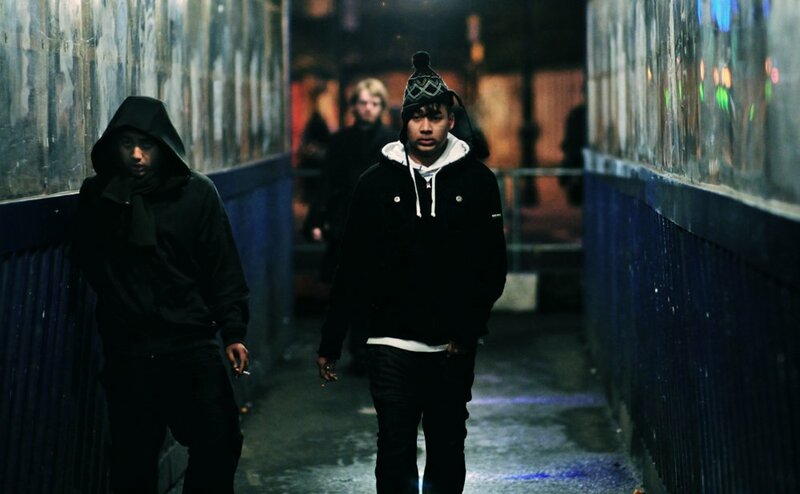 I see shadows closing in and fret on the faces of the men. The financial downturn was already underway, but the global panic of recession didn’t set in until October 2008. Now, I see this image as a hint of the big trouble that was ahead not just for the economy of London, but for the world. Born in Canada, I’ve now lived in London for four years where much of my time has been spent making pictures in the street and shooting personal projects. 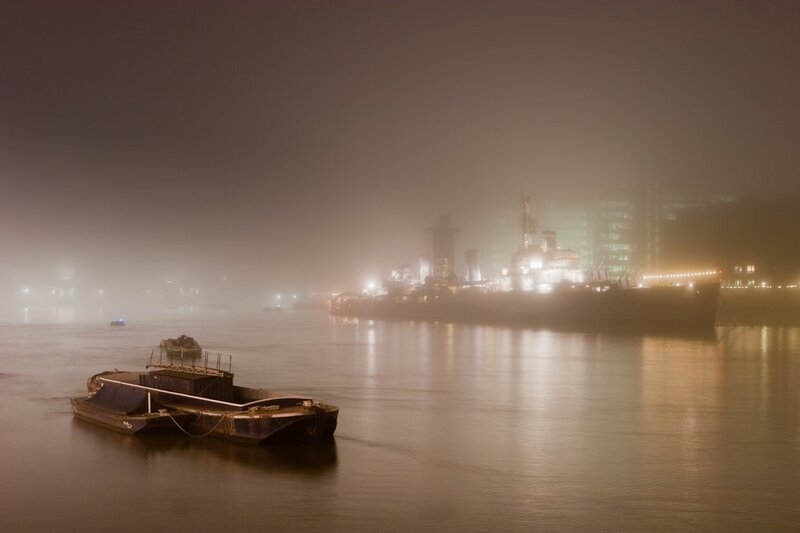 I am editor of the magazine for London Independent Photography. Having grown up in America, it’s hard for me to estimate how strong the pull of football (soccer to us Americans) is throughout the rest of the world. While in London for the first time, I made it a point to take in an Arsenal match. While the match was enjoyable, the fans were what really made the experience. 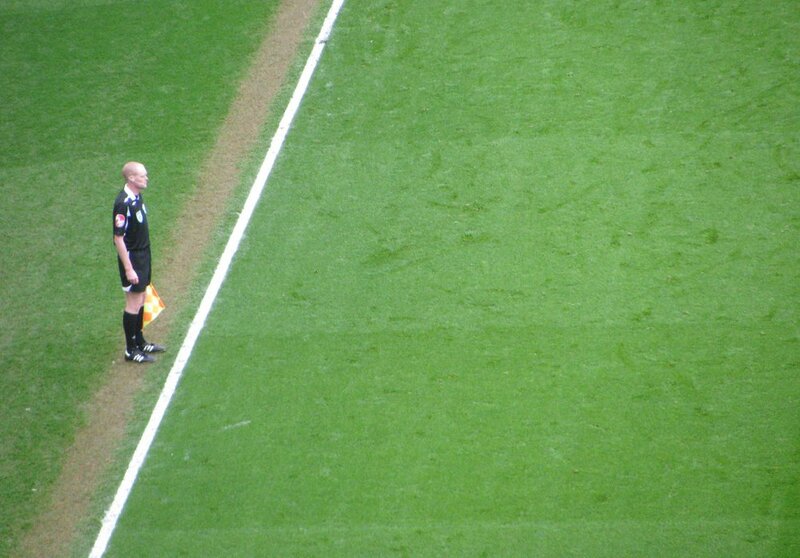 And no matter which side the fans root for, everyone roots against the ref — the loneliest man in London. Paid graphic designer, unpaid photographer. Living in Los Angeles and traveling as often as I can, I recently decided to pick up my camera and start using it. Whether I’m using my Canon Powershot SX110is or my iPhone, I always have something on hand. I went to London with a school group from Germany to see the sights: museums, churches, etc. We ended up out at the pubs every evening, but I think that counts as participating in the local way of life. It was nice to see how the watering holes filled up with the after work crowd and were almost empty by 11 p.m. This picture was taken during a “pub-walk” in which the most famous and important spots were shown to us (further proof of their cultural importance). I’m a student from Germany, based near Hannover. I started shooting pictures seriously when I was 15 and nowadays I focus mostly on concerts and lifestyle images. 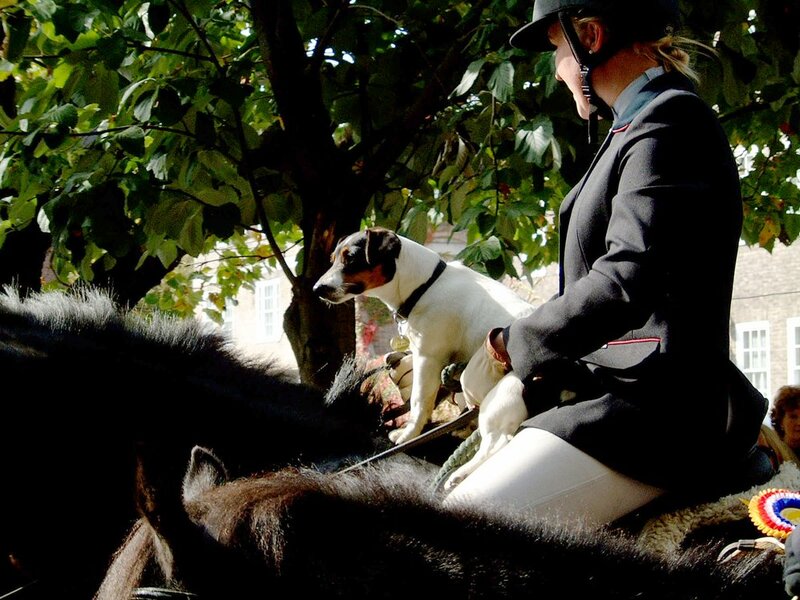 On a sunny September day, I walked alongside a cavalcade of over a hundred horses and riders attending the Horseman’s Sunday service at St John’s Church near Hyde Park. The skittishness of the horses slowly subsided as they were blessed in a tradition dating back two generations. This photo always reminds me of how the ancient, the modern, and other unlikely companionships emerge in this great city. I’m a British-born interactive designer living in Auckland, New Zealand. After days of running in every direction with the crowds of London, it was nice to slow down and enjoy the afternoon with a cream tea. 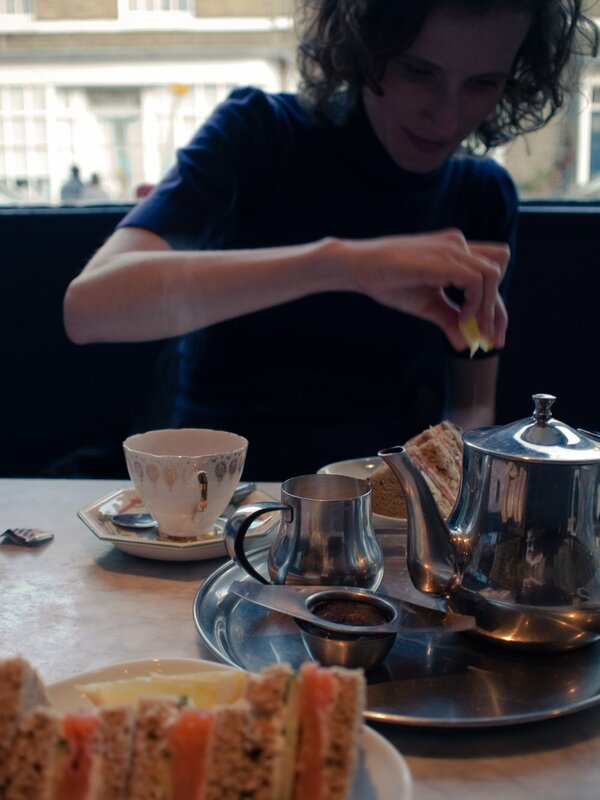 Salmon sandwiches, scones, clotted cream, jam, and earl gray can make any coffee-swilling American feel like a calm, collected, English lady. I’m a freelance interface designer and developer living in Chicago. I dabble with photos and paint whenever I can. 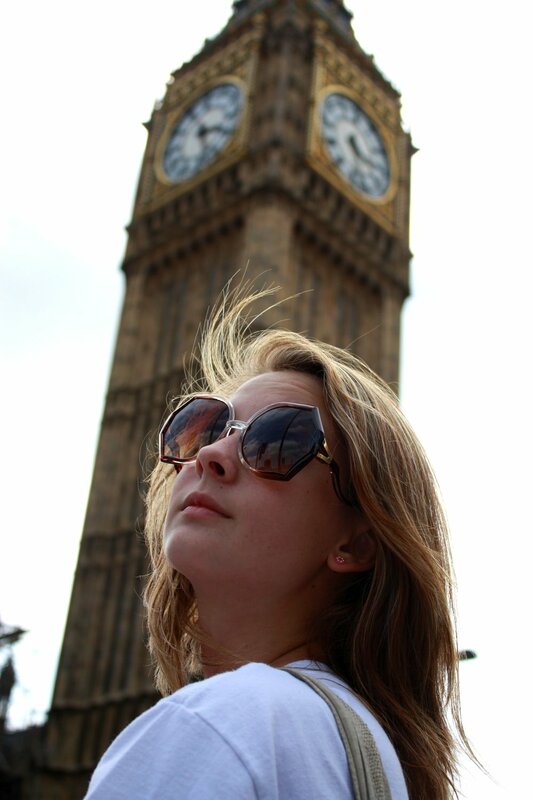 Last summer, I was lucky enough to take my niece on her first trip to Europe, and watch her in awe as she took in the sights. On an uncharacteristically warm day, we took a river cruise on the Thames in an effort to escape the heat. We ate “crisps” on the tour and enjoyed the even crisper English humor of our boat captain’s commentary. I will remember these moments forever. I live in Huntington Beach and I work for a private college in the CIty of Orange, California. I have a twin sister and we are both breast cancer survivors. When I found out that the only thing my girlfriend knew about Britain was how cute my English accent was, I decided she needed to get out of the States for the first time. 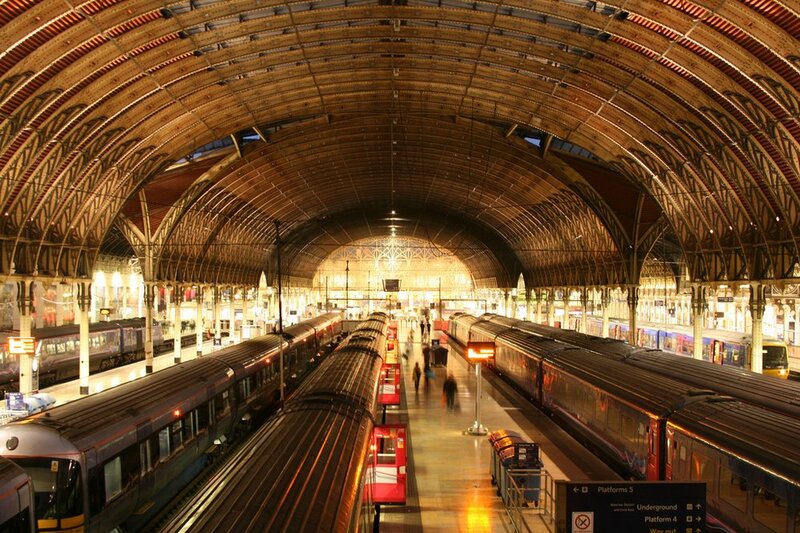 I booked us a trip from LA to London so she could soak up the history, the quirky atmosphere, and the bustle of the city. 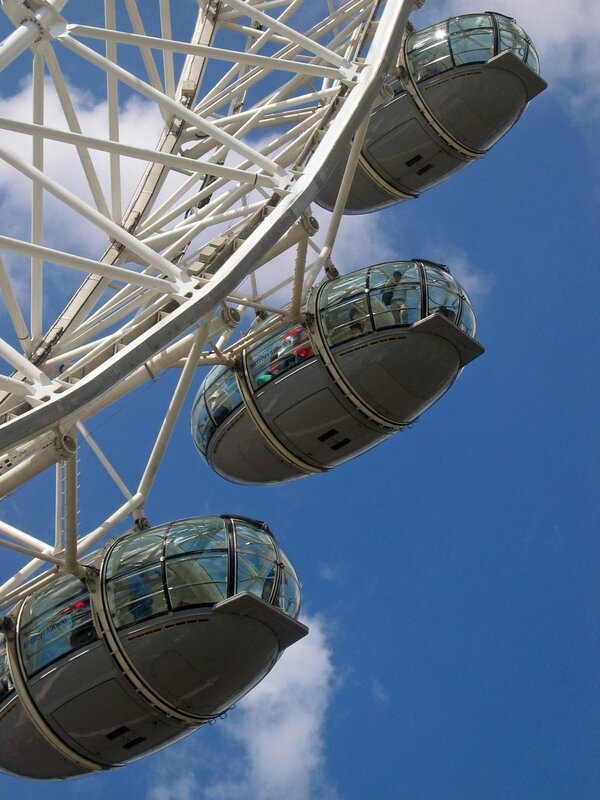 Here we stopped right outside Westminster Abbey and looked across at Big Ben and, behind it, the London Eye. In the tumultuous years that followed, she destroyed every roll of negatives I had, and yet this scan remains, to remind me of the good times and the bad. London, a city of romance and of heartbreak. 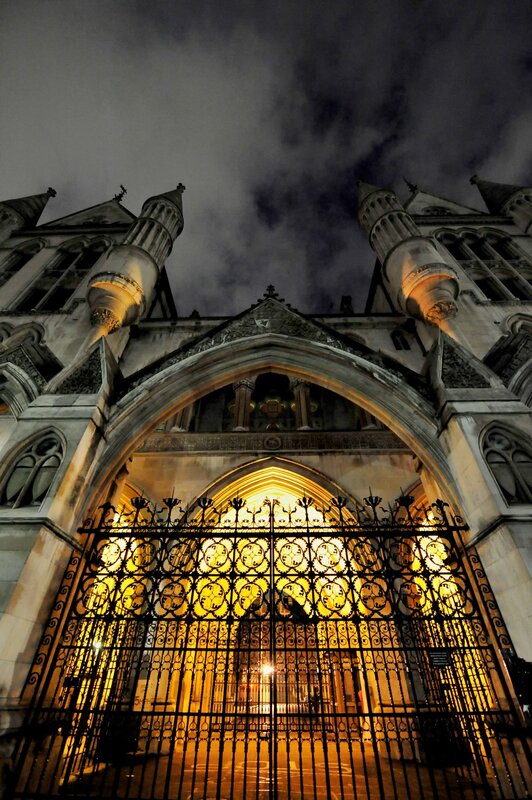 Ambling through the streets of London on Halloween, I came across the ominously lit, gothic facade of the Royal Courts of Justice. It was the perfect manifestation for the dark holiday, as the iron gates and weather-worn stone echoed the sinister past of English torture. After a few photographs, I continued to explore the ancient city, soaking in its rich physical history, and recalling its dark medieval roots. Tyler Sharp is a photographer, writer, and videographer who lives in Dallas, Texas. He is also a contributor to PhotoCine News. There’s nothing else in the world quite like London’s Tower Bridge: an architectural and visual masterpiece sporting two ornate towers of stone-wrapped steel that rise high from the River Thames and stand strong and silent like a pair of Royal Guards. While it once carried London’s horses and carriages, today modern vehicles and thousands of tourists span the bridge day and night. I’m an Aussie living in beautiful Vancouver, British Columbia for the past 5 years. 9 to 5 I tinker with pixels. At all other times I’m constantly searching for the next opportunity, the next adventure. 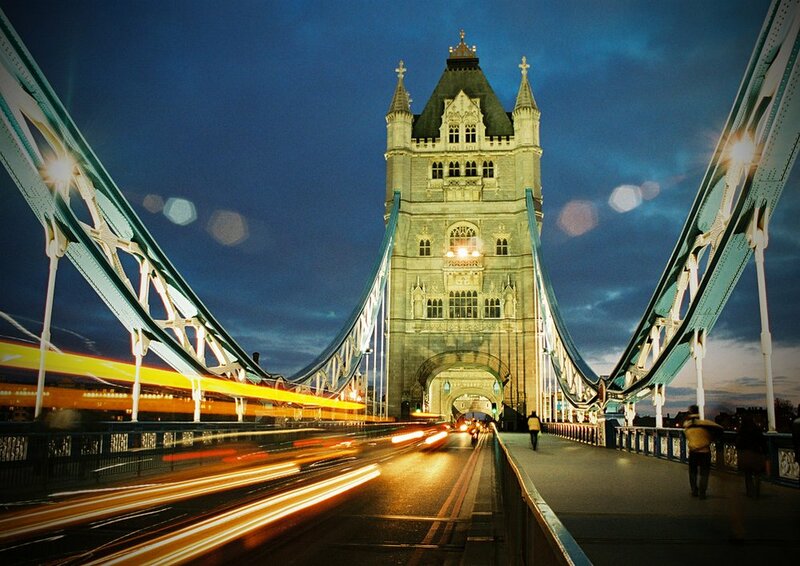 London is a city constantly moving forward without forgetting its past. Each of the city’s famous landmarks, old and new, has its own character. I am always in awe — whether I’m visiting a marvel of modern engineering, a home to monarchs past and present, an underground bunker that has experienced the raw sights and sounds of world war, a neighborhood filled with the smells of an even more foreign place, or a seedy alleyway full of memories of dark deeds — humbled by the importance that stands before me. I am a high school counselor in Upstate New York by day who spends more time imagining where I could be instead of thinking about where I am right now. London never fails to influence me in most unexpected ways — and that’s why I always love returning to the British Museum. A monument to the great British tradition of collecting stuff, the museum houses far more than just stamps, coins, and incredibly detailed works about trains. 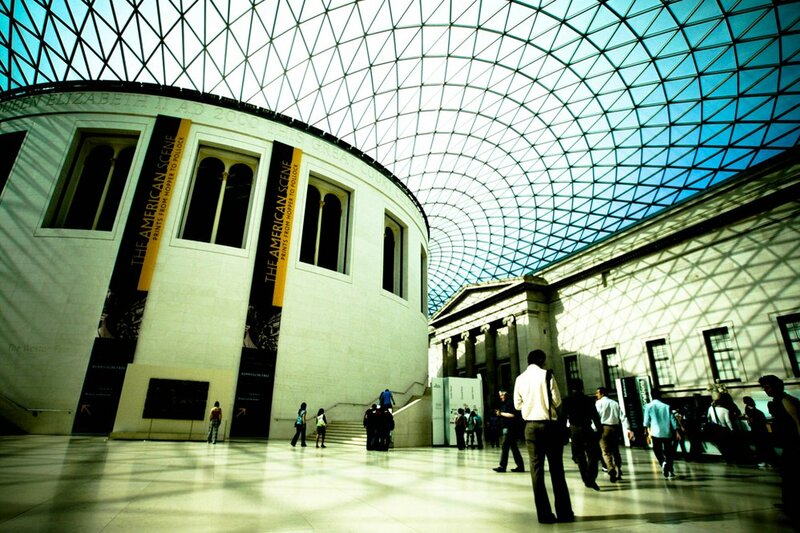 The exhibits represent the cultural history of much of the world and include the Rosetta Stone, Aztec pottery, Phoenician clay masks, mummy cases, the legendary Black Obelisk, the controversial Elgin marbles, and much more. A graphic designer living in Bordeaux who would like to swap his mouse for a dSLR and spend all his time taking photos. 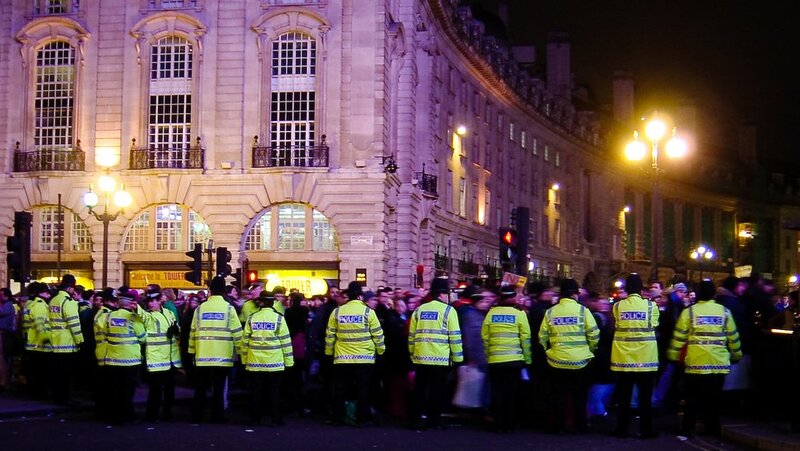 I caught the tail end of an anti-war protest in Piccadilly Circus, as people were heading home. It was amusing to me that the officers had formed a big police blockade to shepherd new arrivals onto the crosswalks, but here I was standing right behind them! I’m a software engineer from San Francisco. The frenetic pace of London’s high street shopping areas amazes me. Having lived in both Tokyo and New York City, I once naively imagined I’d find London a quiet and quaint city. The historic architecture, narrow alleys, and small pubs are indeed warm and friendly — but the busy sidewalks of this shopper’s paradise, wildly packed with a diverse crowd, offer an amazing buzz of energy and excitement. I’m a photographer and photo editor in New York City. Like most around me, I’m not from here, but love it and call it home. There’s nothing I’d rather have than a plane ticket in my hand and a camera around my neck. I have mixed feelings about London after a few visits. In many ways the cultural capital of the western world, it is of course a spectacular place, but it can also feel rather overbearing and boisterously uncouth. On my last trip there, my friends took us to the Sunday markets. 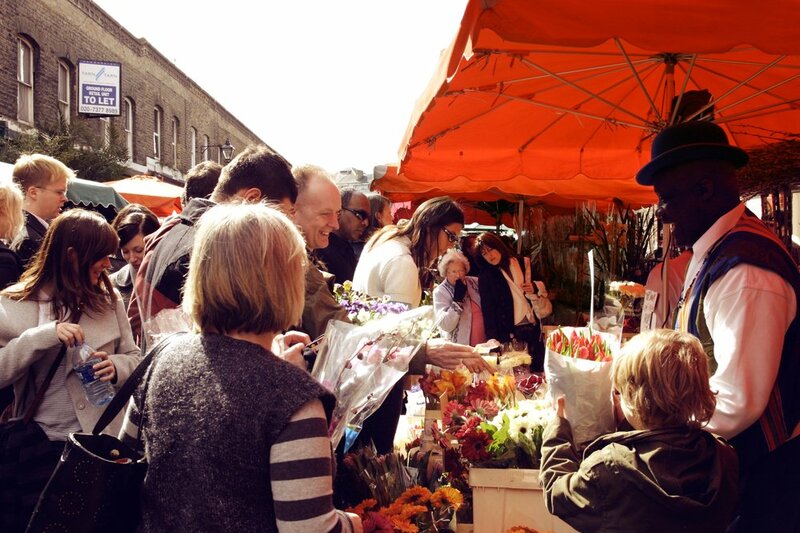 We saw Camden and Brick Lane, but my favorite of all was the Columbia Road Flower Market. Locals and artists happily squeezed through crowds on this small cobblestone road to buy beautiful fresh flowers and antiques. I am a designer and photographer from San Francisco who has seen a lot, but wants to see it all. 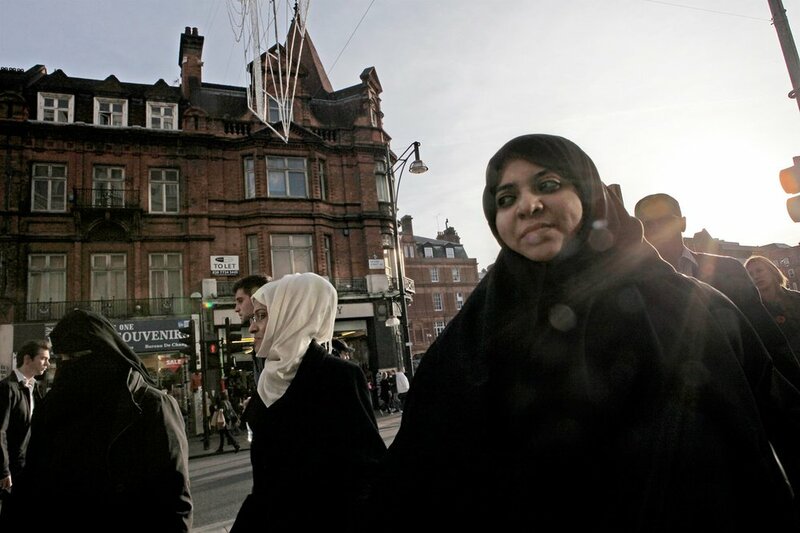 London is full of people of different creeds and colors from every walk of life. Many of them arrive in the city to try to “make it” in their field. 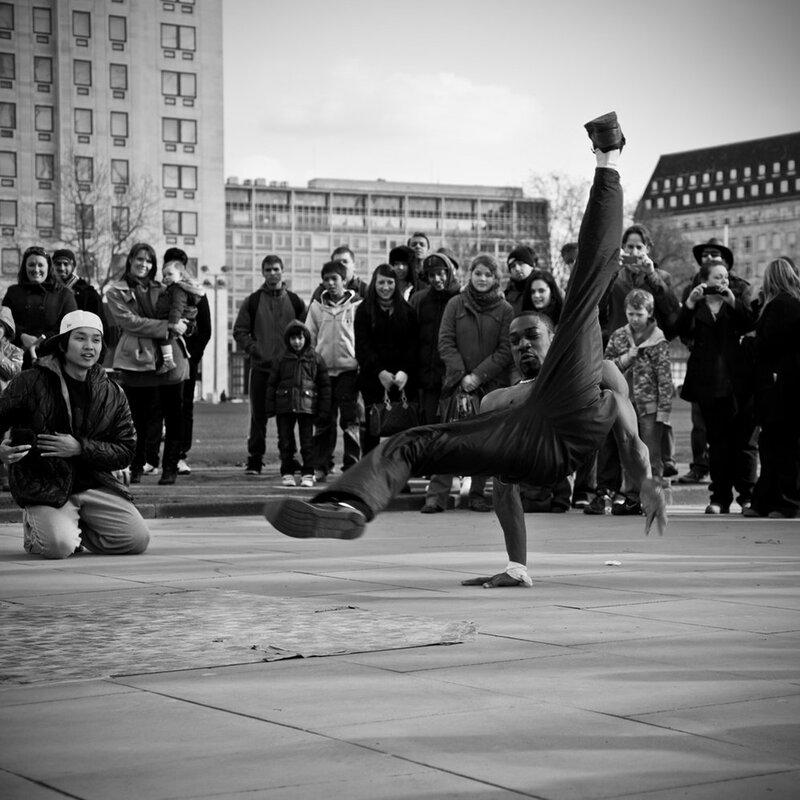 While strolling along Embankment, I came across a group of break-dancers doing just that. It was refreshing to watch them work together harmoniously even though they all had different colored skin; it can be done. Keen photographer based in Guildford, Surrey. I think Pictory could be a great learning tool for me to help with storytelling. I’m a 22-year-old student at Columbia University in New York City, but I’ve also lived in London and Paris. My camera is a Bessa rangefinder. 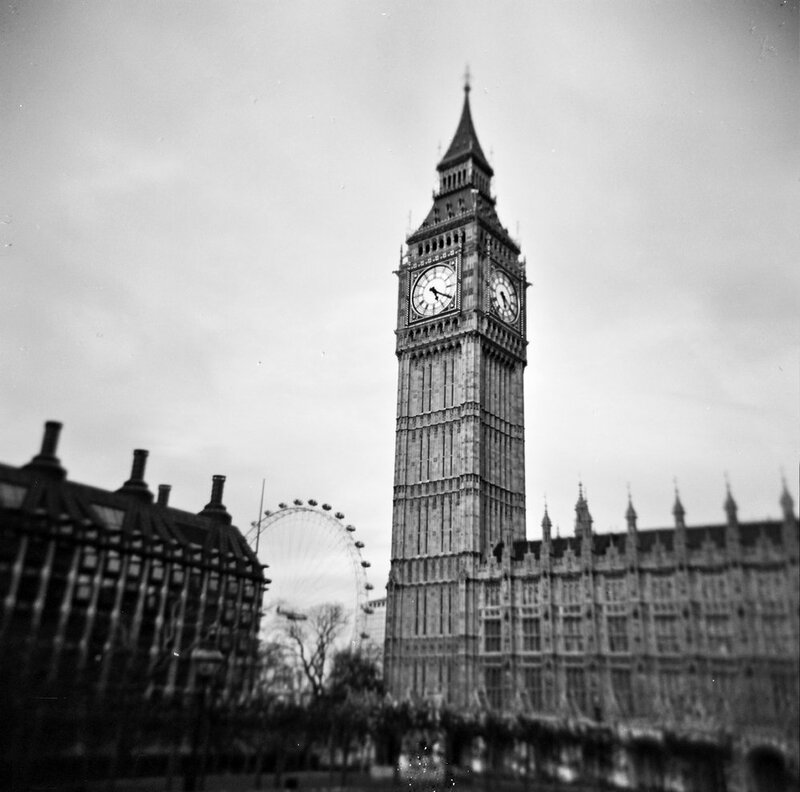 During my time in London, I worked as a photography teacher, mentoring young refugees and asylum seekers. I sought to teach them to observe beauty in any environment. That said, East London is the epitome of a dirty, over-industrialized, concrete jungle. Many of these young people had left behind third world countries, due to war and disruption, only to find themselves in conditions that were not much better. 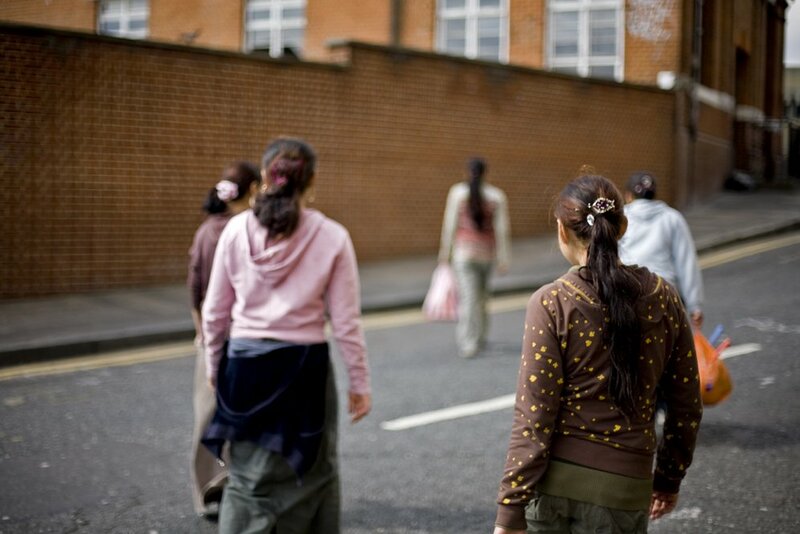 I spent days, hours, weeks walking the streets of London with young people looking for beauty. And I realized that it exists in the people — with their hopes, cultures, and stories all mingling together on a dirty street or a crowded bus — dreaming of the past and building a new future. Jana Carrey is a freelance photographic artist, visual anthropologist, social documentarian, interactive design coordinator, researcher, and educator. She currently lives and works in San Francisco but considers herself a global citizen. London, with its impossibly rich legacy, probably exists more in our collective memory and imagination than it does in the physical world. 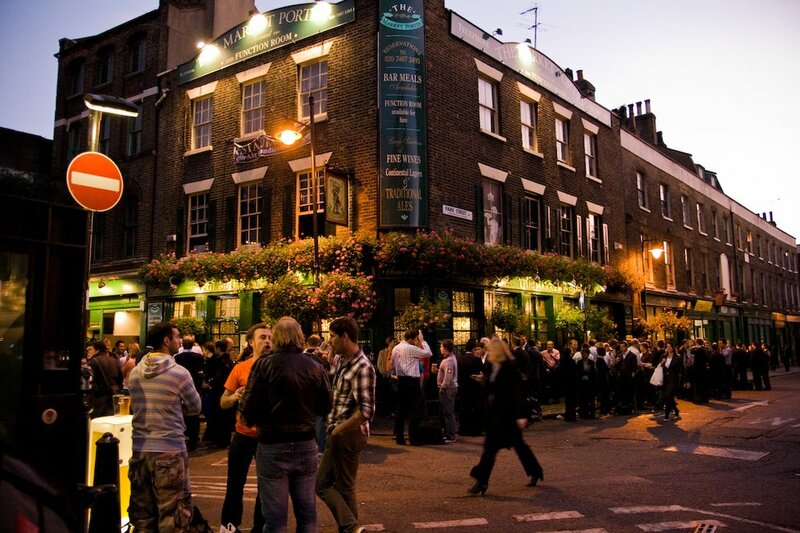 One part of London with a particular depth and breadth of history is the area around Brick Lane in London’s East End. When I moved to London a few years ago, I went to explore the area so compellingly portrayed by Jeremy Gavron in his book of historic narratives of the area’s residents, An Acre of Barren Ground. I didn’t find that exact picture, of course, but I found something complementary, something that only adds to the legend. I’m a web developer living in Brisbane, Australia. I lived and worked in Shoreditch last year, with Brick Lane — the hub of East London’s burgeoning arts, digital, fashion, and music scenes — at my door step. The area has blossomed in the last decade, becoming a magnet for young creative types. It’s also the historic home of many immigrant communities: Huguenot weavers in the 17th century, Jewish traders last century, and most recently, the city’s Bangladeshi community. As such, it typifies the cultural diversity of modern London. 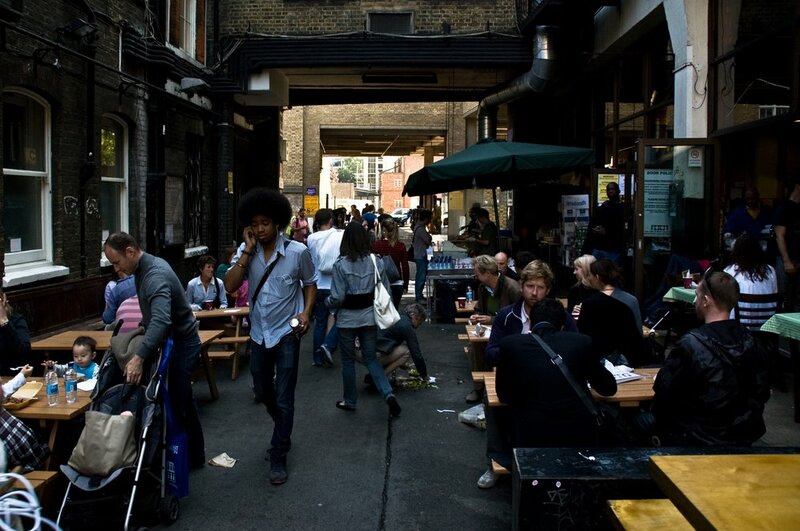 The young people who have grown up in and around Brick Lane have seen it transform from a derided, working-class area to somewhere fashionable and hip. They’re not necessarily included as part of this transformation; the young hipsters and the local Bengali youth don’t really mix (except, perhaps, when one is serving the other at the local off-license). To me, this image conveys a sense of people removed from the cultural life of their own neighborhood, capturing their energy, but also their isolation from the world around them.